Stop Your Sugar Cravings, Lose Weight & Get Healthy? As a Clinical Hypnotherapist & Certified Wellness Coach, I'm here to help you do just that! I'm Jayne. Are you ready to start looking and feeling a whole lot better? Perhaps you've tried to detox from sugar before and had some small successes, but you still find yourself yo-yo-ing back and forth and a slave to your sugar cravings? Do you wake up in the morning and tell yourself that today is the day you'll quit sugar - only to find yourself back in the sugar later in the day? The only smart way forward is to shift your focus on the long-term, and not on some crazy exercise or diet program, or a restrictive 10, 21 or 30 day detox plan. As a Clinical Hypnotherapist, Certified Wellness Coach and Wellbeing Expert, I’m here to help you understand and change your behaviour around processed food and sugar. Through guided hypnotherapy programs, wellness coaching, and self hypnosis audio sessions, I'm here to help you stop the sugar cravings and regain control over the food you eat, so you can loose weight, regain your energy - and live more! 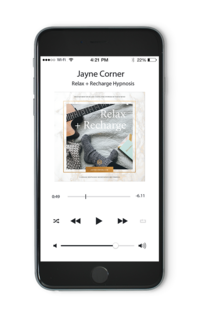 Experience self hypnosis in the comfort of your own home. A powerful tool to energise you when you are feeling tired and exhausted. 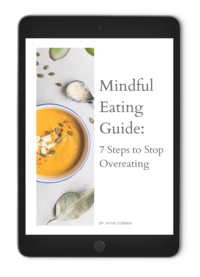 Discover the 7 steps to stop overeating. 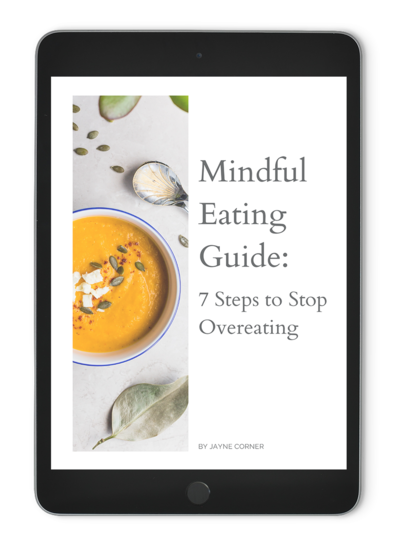 The perfect tool to help you take back control, loose weight and start eating more mindfully. 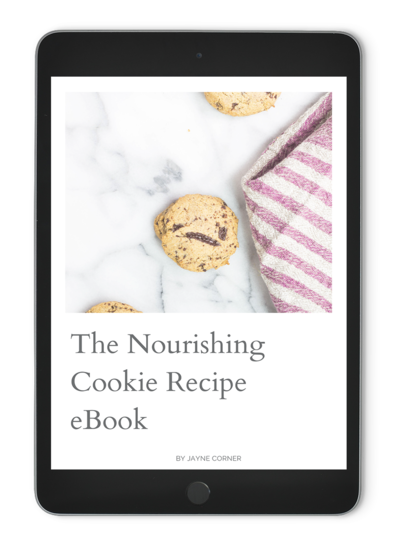 The Nourishing Cookie Recipe eBook is your introduction to baking delicious and healthy snacks free from sugar and flour. Simple recipes any time of the day! Ever since my sessions with Jayne I've slept better, have eaten healthier, set more boundaries with work and made more time for myself. I feel like a new person with a new lightness that I've never felt before!